stylos: The Vision (1/17/13): Are you a hypocrite? 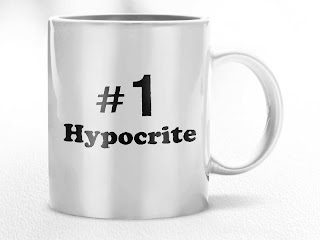 The Vision (1/17/13): Are you a hypocrite? We recently preached through Jesus’ Sermon in the Plain in Luke 6 at CRBC, including our Lord’s warning against the man who tries to remove the mote (speck) from his brother’s eye without awareness of the beam in his own eye. Jesus concludes: “Thou hypocrite, cast out first the beam out of thine own eye, and then thou shalt see clearly to pull out the mote that is in thy brother’s eye” (Luke 6:42). Repentance is needful for hypocrites….. The hypocrite is a saint in jest. He makes a magnificent show, like an ape clothed in ermine [white fur] or purple. The hypocrite is like a house with a beautiful façade, but every room within is dark. He is a rotten post fairly gilded. Under his mask of profession he hides his plague-sores. The hypocrite is against painting of faces, but he paints holiness. He is seemingly good that he may be really bad…. The hypocrite seems to have his eyes nailed to heaven, but his heart is full of impure lustings. He lives in secret sin against his conscience. He can be as his company is and act both dove and vulture. He hears the word, but is all ear. He is for temple-devotion, where others may look upon him and admire him, but he neglects family and closet prayer. Indeed, if prayer does not make a man leave sin, sin will make him leave prayer. The hypocrite feigns humility, but it is that he may rise in the world. He is a pretender to faith, but he makes use of it rather for a cloak than a shield. He carries his Bible under his arm, but not in his heart. His whole religion is a demure lie (Hosea 11.12). See what I mean? Of course, Watson’s goal with these words is not merely to wound but to heal. We do not want to be hypocrites. We do not want to be saints “in jest” but in truth. May the Lord lead us to repent of every hint of hypocrisy and to be real before our fellow men, the brethren, and our Lord, who knows all men’s hearts.